Alexander Mercouris in London (E4): Why Lavrov went to North Korea to meet with Kim. Russian Foreign Minister Sergey Lavrov met with North Korean leader Kim Jong Un in Pyongyang this past Thursday. 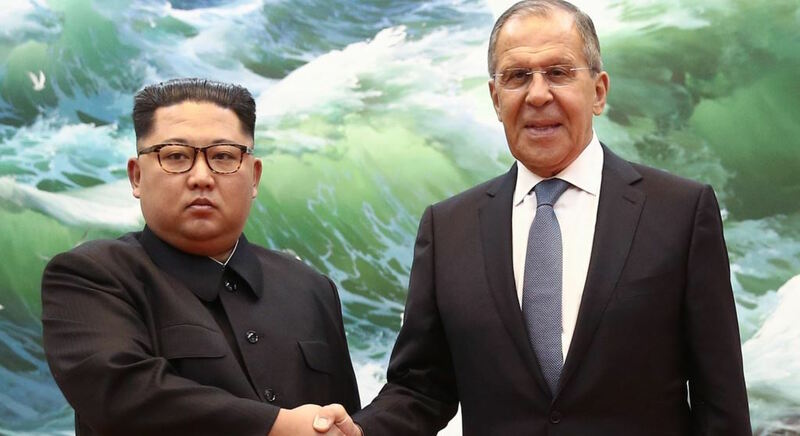 Lavrov’s visit comes as Pyongyang, Seoul and Washington are preparing a historic meeting between US President Donald Trump and North Korean Leader Kim Jong Un on June 12th. Russia’s role in brokering the summit between the US and North Korea has been played down, but make no mistake, Russia has (and is developing) key security, energy and infrastructure project on the Korean peninsula. Alexander Mercouris in London (E4) explains why Lavrov went to North Korea to meet with Kim. Lavrov invited the North Korean leader to visit Russia. He told Kim that Moscow supported peace and progress on the Korean peninsula and highly valued a declaration signed by Pyongyang and Seoul. Earlier, Lavrov met with his North Korean counterpart Ri Yong Ho and others at the Supreme People’s Assembly building in the North Korean capital. Lavrov and his deputy Igor Morgulov paid their respects at a monument to Soviet soldiers in Pyongyang’s Moranbong Park.